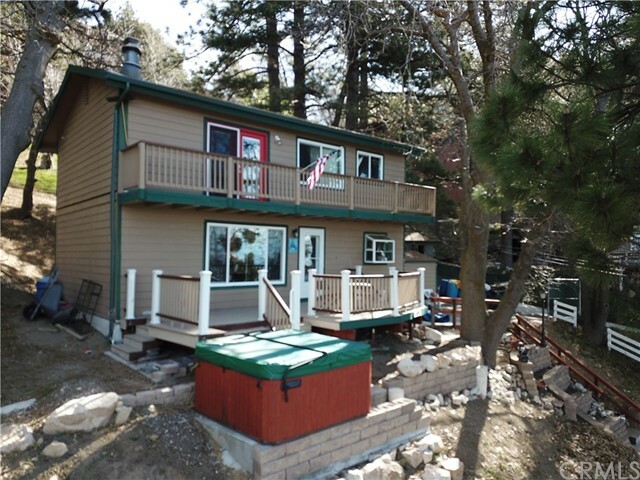 All Running Springs homes currently listed for sale in Running Springs as of 04/25/2019 are shown below. You can change the search criteria at any time by pressing the 'Change Search' button below. "COME ENJOY 'SAFE HAVEN FOREST RETREAT' -UNIQUE 2 ACRE PARCEL- 2 ONE ACRE LOTS-EACH WITH THEIR OWN ADDRESS (1717 & 1777) AND ZONED 'RESOURCE CONSERVATION' WHICH ALLOWS MORE DEVELOPMENT OPTIONS THAN R-1 ZONING. 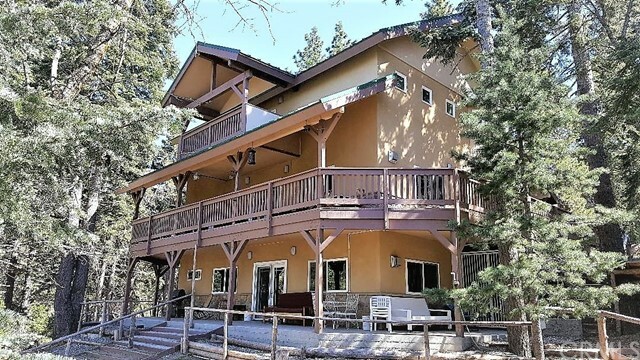 CONNECTED TO THE NATIONAL FOREST ON 3 SIDES IT OFFERS LIMITLESS ACCESS TO NATURE TRAILS AND SOLITUDE - YET CLOSE TO BIG BEAR AND LAKE ARROWHEAD. OFFERED FAR BELOW ESTIMATED REPLACEMENT COST OF $1.6 MILLION. LICENSED VACATION RENTAL INCOME IS OVER $100,000 PER YEAR. 3927 SQUARE FEET, 5 BEDRO"
"Massive 8406 sq ft, five bedroom 9 1/2 bath house with amazing panoramic views. Huge recreation room, library, hobby shop and family room. Master bedroom features huge walk in closet. Each floor has it's own heating unit. First floor has A/C. All three floors are permitted. Property sets on 1 acre parcel, bordered by the National Forest. Perfect for hosting events and retreats. A portion of Deer Creek Retreat is currently used part-time for corporate retreats & shows a consistent positive cash f"
"Reduced!!!!!!!! 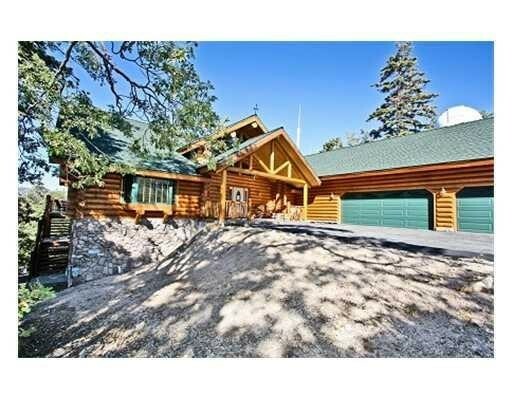 Colorado-Rocky Mountain style custom lodge-4.77 forested acres of horse property. High-end original build with upgrades thru-out. 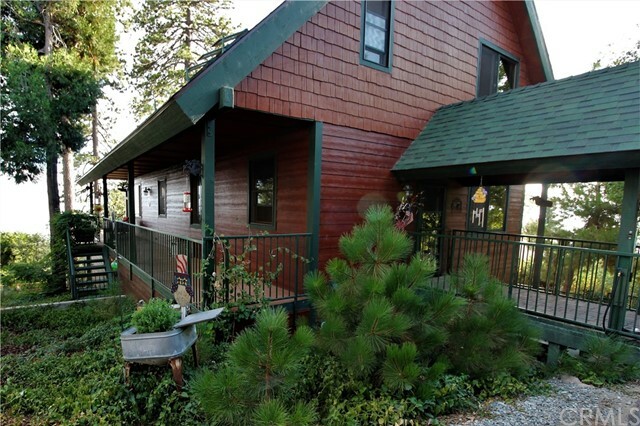 Master suite w/ it's own over-sized entertaining deck, 2nd FP & super scrumptious master bath. Featuring a 2nd suite for a total of 3 bedrooms, 3 baths. Expansive open loft family room/game room w/ pool table. Separate Gym with partial bath & separate sauna, too. Garage is extra deep & extra wide (750 s.f.). 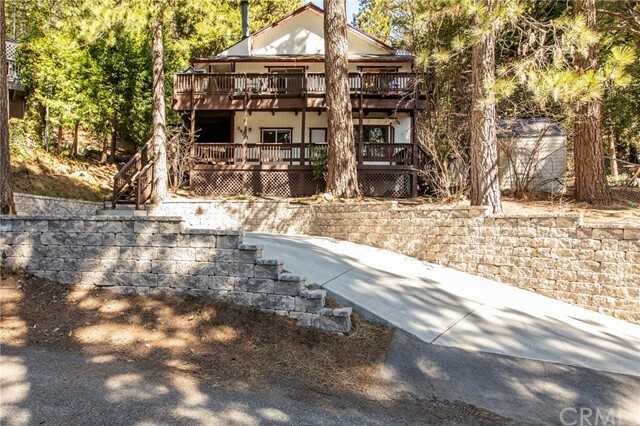 Electric gates across driveway & entire prop"
"One of the most highly coveted residential areas of the San Bernardino mountains! Enter this magical residence through the private gates and long, dramatic driveway. Enclosed garages hold 9 cars total!! Level driveway parking for 25 - 30 guests. Fully fenced and privately gated. This is a unique equestrian area with gorgeous riding trails through the national forest in all directions. The main residence has a beautifully remodeled, spacious kitchen with vaulted ceilings and a walk-in pantry. 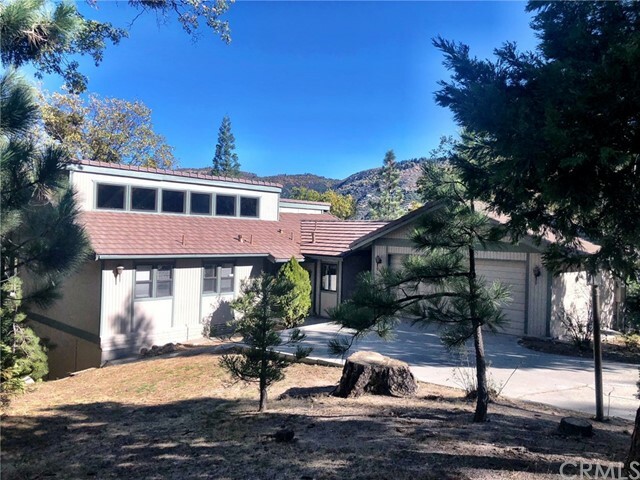 A h"
"This Impressive Mountain Home built in 2005 is situated in the Beautiful Area of Enchanted Forest Estates with 3108 Sq-Ft and Spectacular Mountain Views. Tounge and Grove walls and ceilings throughout the entire home brings a Rustic Open Feel. This open Concept Two Story home has easy access with Level Entry. Oversized Two Car Garage with Large Driveway for plenty of Parking. 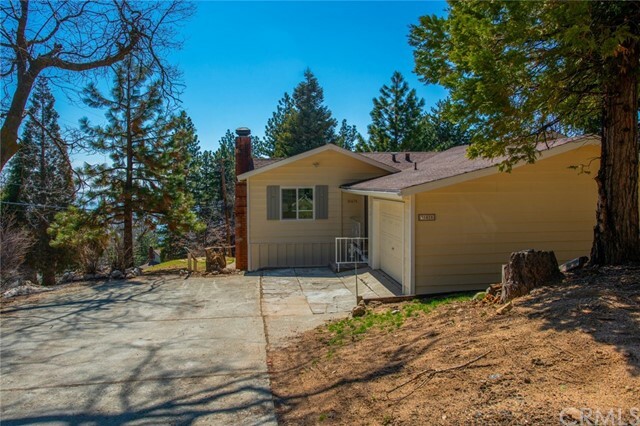 Great Floorplan with 4 Bedrooms one could be an office, 2 Full Baths and 1 Half Bath with Large Decks, plus an Intercom S"
"Beautiful home sits up on a hill overlooking the mountain range with amazing views. Enter into a spacious living room with wood burner fireplace, and sliding door leading to the front porch that overlooks an amazing view. Nice sized dining room, Wonderful neighborhood that is peaceful and quiet. 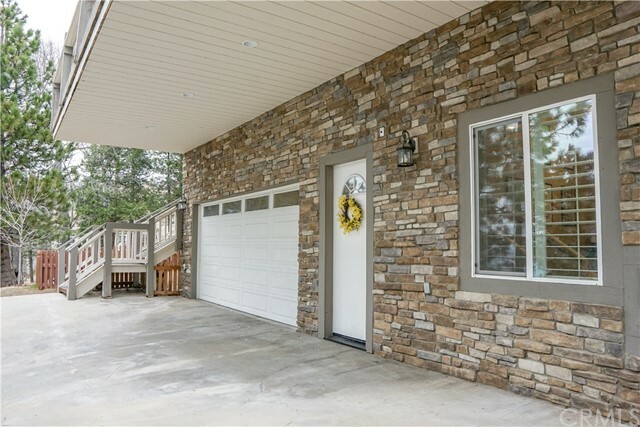 Association Amenities: None # of RV Spaces: 0 Special Features: BN,FS,NONE Lot Location Type: Standard Location Patio and Porch Features: Balcony Special Features: Garage Door Opener # of Attached Spaces"
"Mountain Views will amaze you from this wonderful 2900sq' 4bedroom home. The panoramic views are simply delightful. 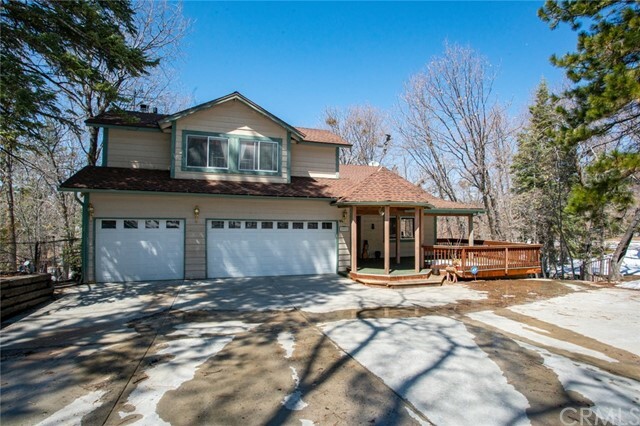 This property features everyone's favorite level-entry, garage and a fenced yard! This property has been lovingly landscaped all around and impeccably maintained! We have real stone floors in the entry that lead into the Living room with 2-story ceilings & stone fireplace. Living Room flows into dining room and onto the Great room which features a modern kitchen that is open to din"
"Located In The Prestigious Enchanted Forest Estates, This One Is A Show Stopper! Extensive Remodeling Including Kitchen & Baths Makes This One Market Ready & Ready For You To Fall In Love & Move Right In! The Main Level Features An Enormous Great Room Area Which Includes The Granite Entryway, The Oversized Kitchen With Granite Counters, Stainless Appliances & Breakfast Bar, Formal Dining, Living Room With Soaring Ceiling, Clerestory Windows & A Floor To Ceiling Rock Faced Fireplace, Bedroom, Off"
"Fabulous View Home in the Prestigious Enchanted Forest Estates Numerous upgrades!! Hard Wood Floors in Living Rm 2 Fireplaces Gas Fplace in Master Bedroom Wood/Gas Fireplace in L/Room. check out Photos & Schedule Private Showing by contacting Listing Agent. 25 min. to Downtown Redlands makes the location of this custom built home a perfect choice. Located before the Chain Control just off Hwy 330 to Live Oak (left) to Enchanted way (left) and you'll be on your way to your New Hom"
"HONEY STOP THE CAR...WELCOME HOME... This 3 bedroom 2 1/2 baths, spacious, luxurious, newly remodeled home in Enchanted Forest Estates with convenient access to the 330. The main floor features an open floor plan with a wood burning stove and custom brick accents. Enjoy Picturesque valley views through a lofted ceiling and a full wall of windows. The views are shared with the connected kitchen and dining room that has been remodeled with stainless steel appliances and fresh modern fixtures. 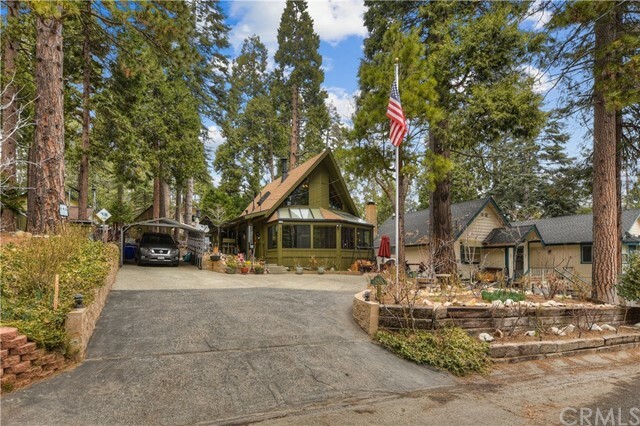 The "
"It's All About The Setting And View On This Lovely Enchanted Forest Estates Home! 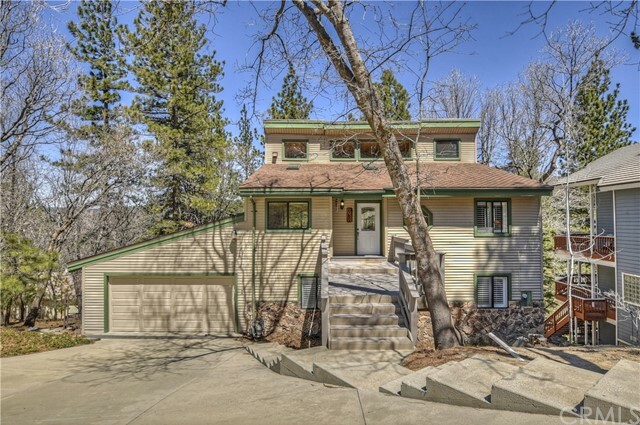 With Wonderful Easy Access And Located On The Most Quiet Cul-De-Sac In Running Springs, This Original Owner Home Is Sure To Please The Buyer Looking For A Peaceful Mountain Retreat In An Upscale Neighborhood. 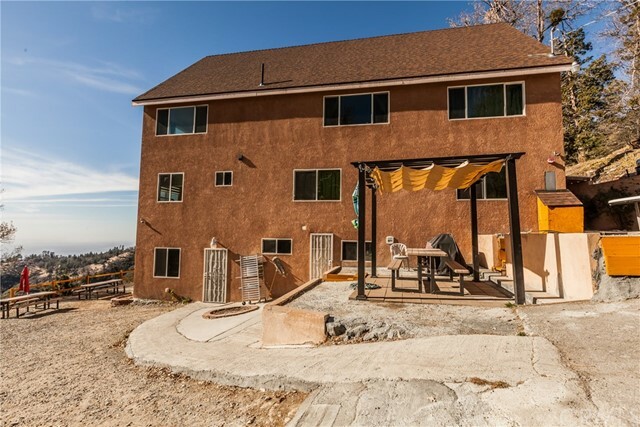 This Commuter Friendly Tract Is Just 15 Minutes From Highland And Access To The 210/10 Freeways Yet Nestled Into The Mountains Providing Panoramic Views, Hiking Trails And Forest All Around. 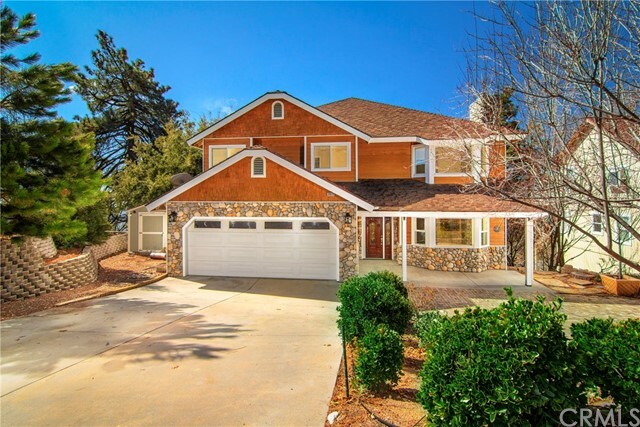 The Main Level Fea"
"Situated in the secluded and peaceful Smiley Park Country Club, this custom-built mountain home features beautiful open beamed ceilings, hardwood floors and lots of windows to enjoy the breathtaking views. The open concept kitchen has knotty hickory cabinets, double ovens, a cook-top range and large walk-in pantry. One of the bedrooms is located on the main floor with a large guest bath nearby. The laundry room is also located on the main floor and includes a laundry shute from the second floor." "The Tried And True Real Estate Adage Still Holds Today! Always Buy The Lowest Price Home In The Best Neighborhood. Here you go! 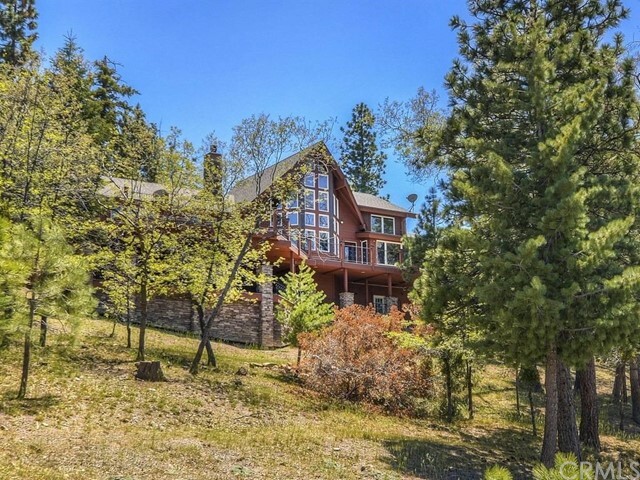 Located In The Prestigious Enchanted Forest Estates, The Price Is Fabulous But The Panoramic Valley View, Underground Utilities, Level Entry Into A Double Garage And All on An Oversized, 16,000 Square Foot Lot, Will Seal The Deal! 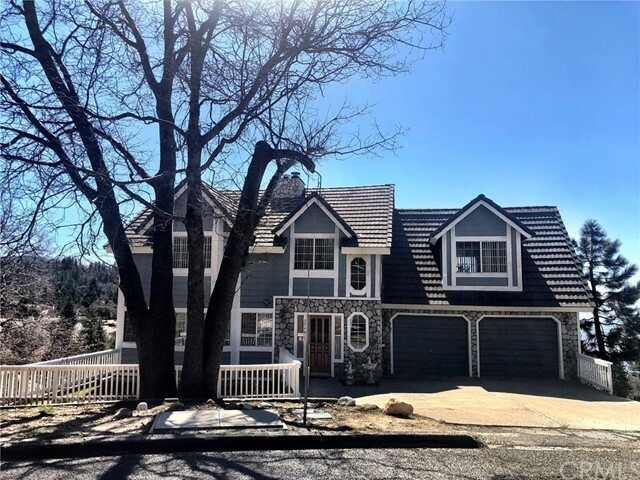 The Main Level Features The Living Room With A Beautiful River Rock Fireplace And Beamed Ceiling, Formal Dining Room, The Kitchen With Granit"
"Beautifully Updated Upper Rowco Home built in 2004. Features a Generous 2038 sq ft! Rare 3 Bedroom Suites with Walk In Closets and Large Bathrooms. Enter through a beautiful Glass Door down the entry hall into an Open Living Room and a joining Kitchen. Separated by a Large Granite Bar with Built in Wine Cooler Fridge and Kegerator. Living Room has a Stack Stoned Hearth and Wood Burning Stove with electric fan to heat the whole house! Sliding Doors lead out to a yard surrounded by fruit and flowe"
"Welcome home to your gorgeous fully renovated new residence with a spectacular view!! This home has a highly coveted, level driveway and garage with direct LEVEL entry into the kitchen!! This means no more slipping, tripping or getting soaked with rain while carrying groceries into the kitchen. The expansive main floor includes an open concept kitchen, living and dining areas which all over look the breath taking city lights views!! Three beautiful bedrooms and two bathrooms are also built on th"
"Ready To Create Memories?! This One Of A Kind Home Will Give You All You Need And More. Pull Up To Easy Access With Plenty Of Parking And Carport. Enjoy The Over Sized Entertainment Deck With City Views And Make Your Way Inside. First Floor Includes Living Room With High Vaulted Ceilings And Classic Style Fireplace, Updated Kitchen, Dining Area, Breakfast Bar, Laundry Area, Full Bathroom, Bedroom And 3 Outside Access Points. Make Your Way Upstairs To Find The Viewing Nook, 2 Bedrooms With Large "
"VERY NICE FAMILY HOME WITH LOTS OF ROOM FOR KIDS & PETS. LARGE LIVING ROOM & GAME ROOM FOR BIG FAMILYS. NEAT & CLEAN, MOVE IN READY. GOOD COMMUTER LOCATION WITH QUITE SETTING AT END OF STREET." 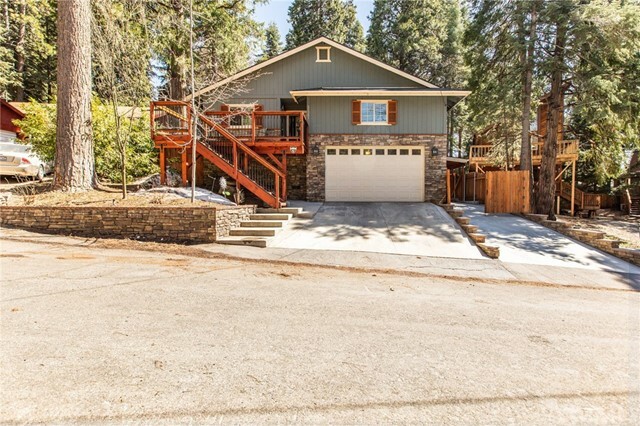 "Sitting in the best area of Running Springs on top of a knoll just short miles to Snow Valley, this perfect home has all the features of a truly excellent buy! 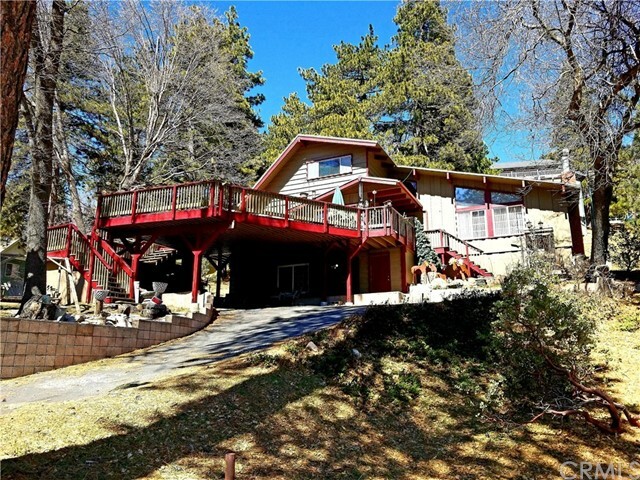 Sprawling, fully fenced & usable backyard, stretches almost all the way to highway 18. The views from the deck are gorgeous. Access is so easy! Close to 330, 20 minutes to Redlands and Big Bear & all the dream snow slopes, Nob Hill is a very special street! House features 3 large bedrooms, large loft, vaulted ceilings, open concept kitche"
"This cozy A-frame home sits on a spacious yet conveniently flat, 2 lot property in upper Rowco. There are 2 bedrooms, 1 on the main level and one upstairs, plus 2 bathrooms and another small room upstairs perfect for a craft room, office or guest bedroom. Both bathrooms and the kitchen have been newly remodeled. In addition to the living space there is a lovely enclosed sunroom and a great outdoor patio area for relaxing or for entertaining. 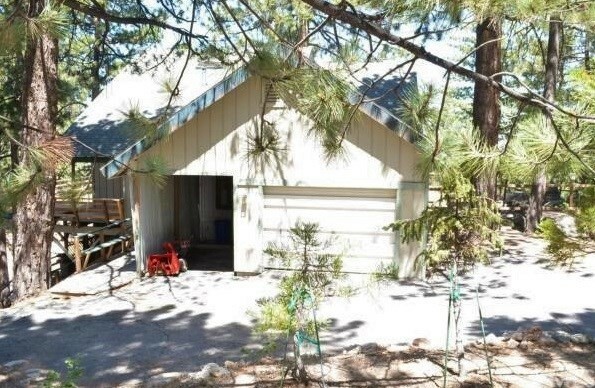 The property boasts fruit trees, 3 storage sheds, full"
"Getaway home in the mountains, views, ideal for a large family." "Built in 2005 this beautiful home has a lot to offer! Easy commute to Highway 330 and Highway 18. Two bedrooms, bathroom, and laundry area on the main level along with an open living room and kitchen. The kitchen features granite countertops, a breakfast bar, and dining area. The entire upper level is the master suite with a gorgeous bathroom, walk in closet and a loft. Large two car garage with plenty of parking and a great yard for kids or gardening." "Living the DREAM! This would be a great FULL TIME or VACATION HOME. 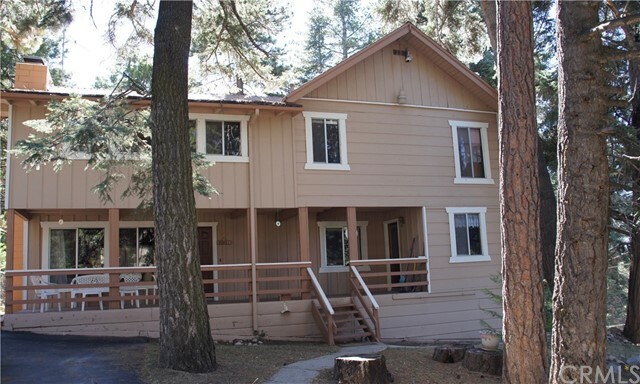 Live in the MOUNTAINS while just 20 minutes away from the base of the mountain. 3 Bedroom, 2.5 Bath, 1,392sqft., Hidden optional office/possible 4th Bedroom downstairs. 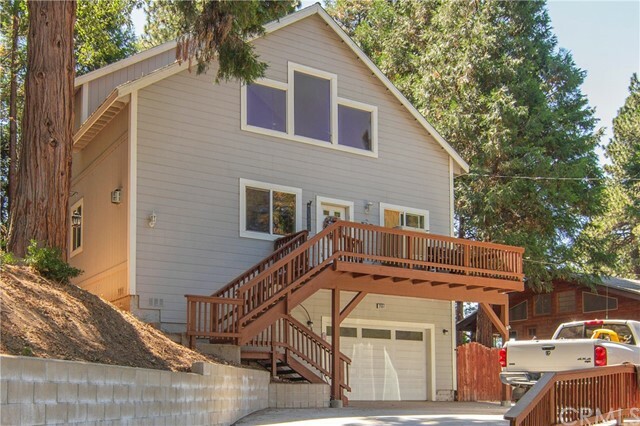 Much of the home has recently been remodeled and is MOVE-IN-READY. 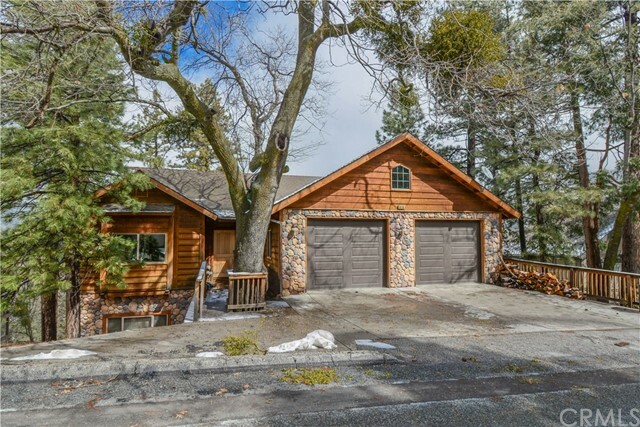 Upgrades: Quartz kitchen countertops, wood cabinets, engineered hard wood floors, cozy fire place, Jacuzzi, (2) storage TUFF SHEDS, remodeled bathrooms. Large Mud Room pass through with food stora"